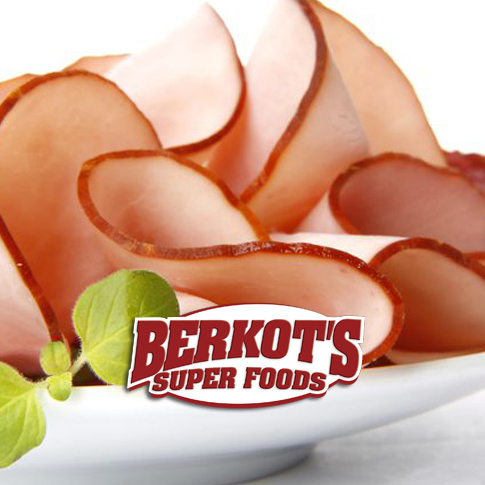 At Berkot's we have a full selection of meats, cheeses, and quality foods. 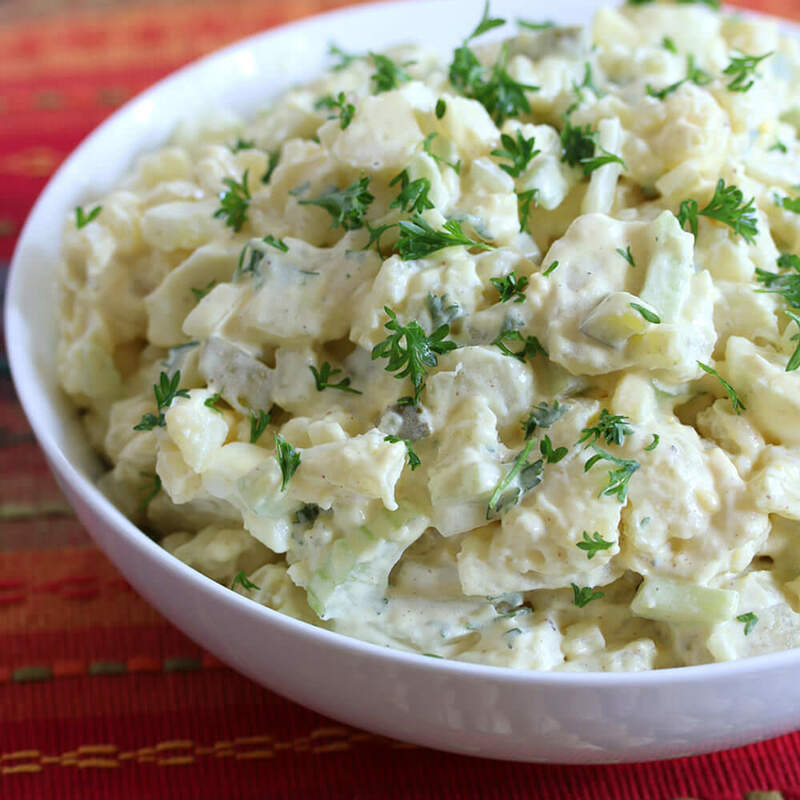 Our Deli counter offers a wide variety of sliced meats, signature salads (potato salad, coleslaw and macaroni salad) side dishes and snacks. 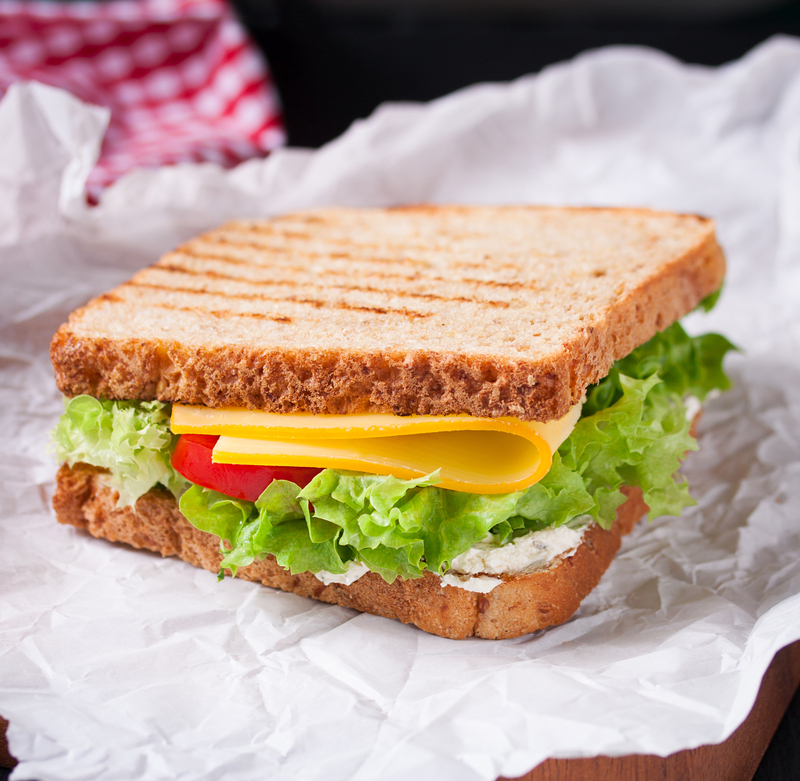 We have developed a great approach to providing you the highest quality, freshest deli offerings possible. Dietz & Watson- We offer Dietz & Watson prime lunch meat and cheeses made with the freshest all-natural ingredients and crafted from family recipes. 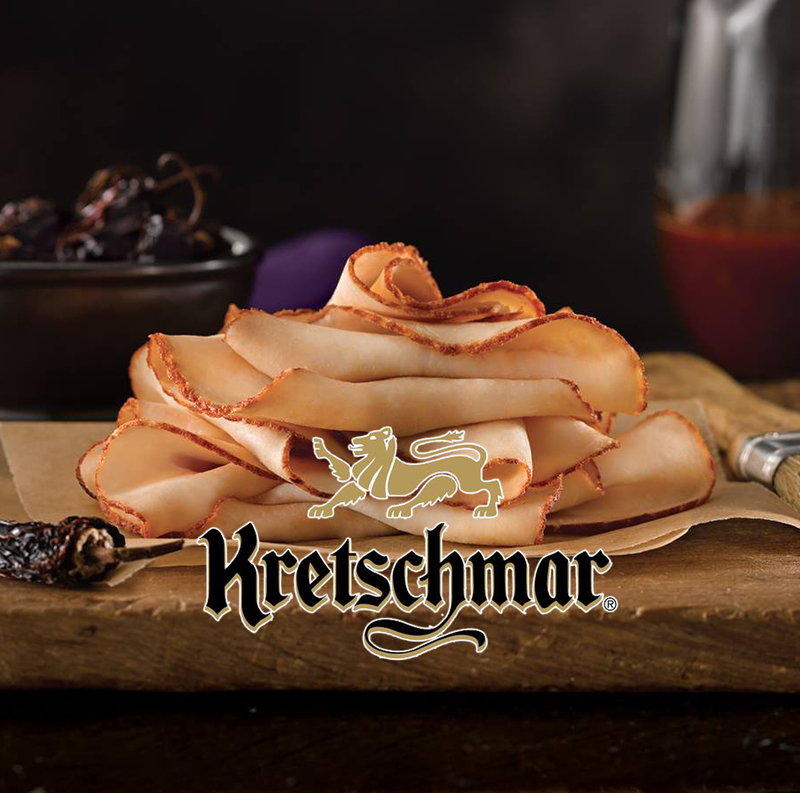 They use only the highest quality hand-trimmed lean beef, ham, turkey and chicken breast. They never use artificial colors, flavors, fillers, extenders or MSG and many offerings are gluten free, low in sodium and low in fat. 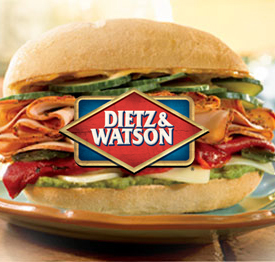 Berkot's is proud to offer Dietz & Watson in our deli case. Deli Meals- We offer chicken- fried, baked, and spicy fried. 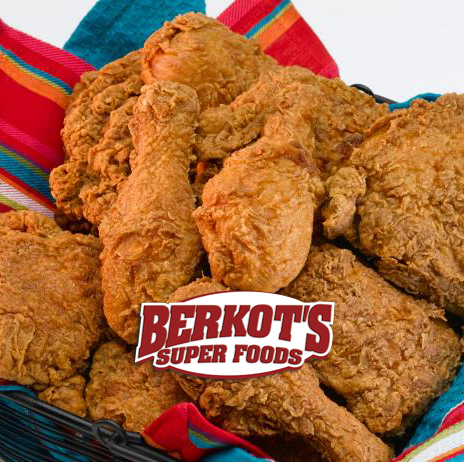 Let Berkot's cook your dinner tonight! ?Famous Fried Chicken" 8 Piece Meal Deal $14.99 includes 8 Pieces of Fried Chicken, 1 pound of Potato Wedges, 1 pound of Cole Slaw and a 4 Pack of King's Hawaiian Rolls. 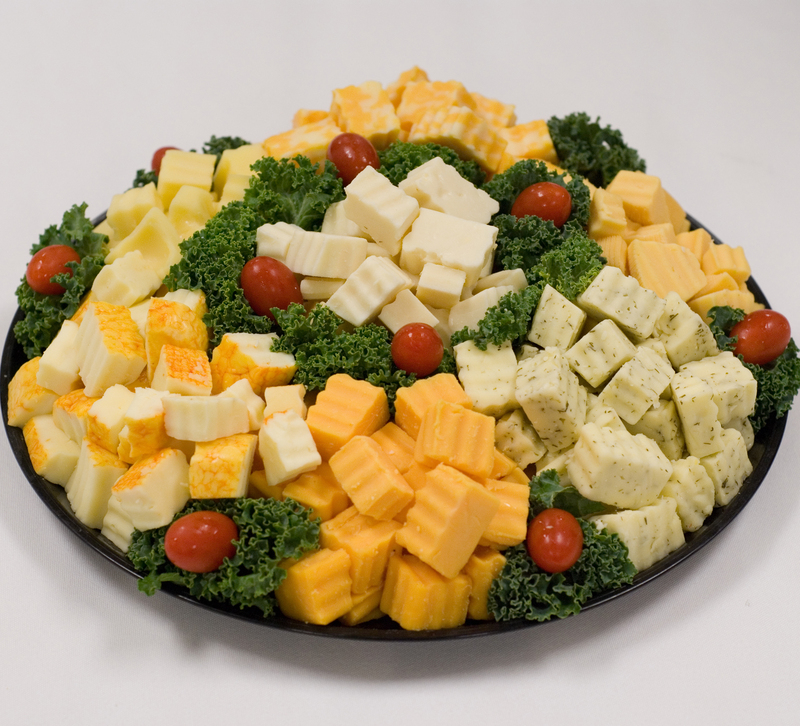 Check out the catering tab or stop by the deli counter and inquire about our popular Deli trays and Catering options. Let us take care of the cooking and you can be a guest at your own event! From ?per person" catering packages, party trays, dessert trays and custom cakes, Berkot's has every option to make your party a success, so check out our catering tab for more information!